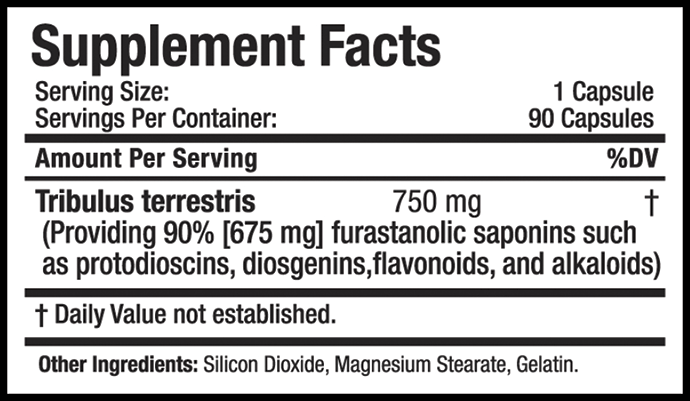 Each capsule contains a minimum of 90% Saponins - Double that of other Tribulus products. Clinical research has shown that Tribulus Terrestris may also support healthy blood pressure and healthy cholesterol profiles already in normal range. 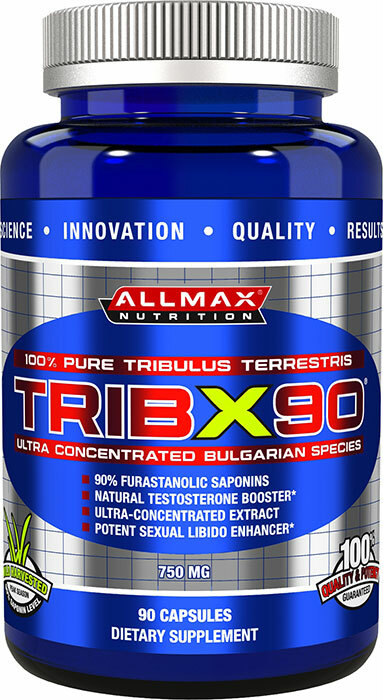 ALLMAX Nutrition now provides you with the highest quality of 100% pure Bulgarian Species Tribulus Terrestris with TRIBX90. Laboratory tests have confirmed the extraordinarily high levels of Steroidal Saponins at 90% using High Performance Liquid Chromatography (HPLC) assay testing. The source herb in TRIBX90 has been wild harvested by hand at peak season (just one specific month of the whole year!) 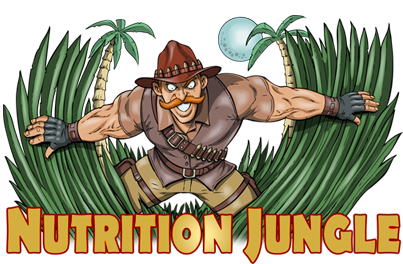 to ensure the absolute highest levels of total concentrated alkaloids, a full 90% steroidal saponins – the purest and most concentrated active of phytochemicals! Other lesser source tribulus products on the market are most often at most 40 to 45% saponins. Experience the power of wild-crafted Tribulus backed by clinical laboratory testing. You can always trust ALLMAX Nutrition to bring you the highest in quality and potency. 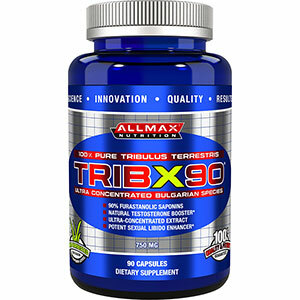 ALLMAX TRIBX90 is available in a 750 mg size with 90 capsules.